This is the current manifesto we agree to hold up to as sisters when we gather either at our monthly circles our while on retreats together. How are you honoring the earth? 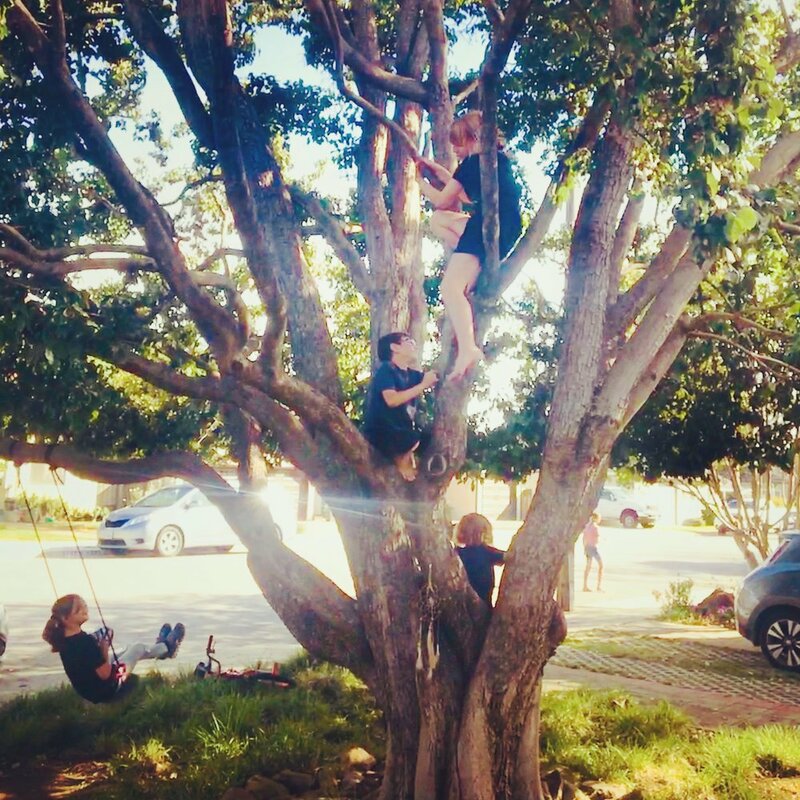 As I watched my daughter and the neighborhood kids on earth day climb our beloved front yard tree, I asked myself, how am I giving back to this mother earth who graciously lets me live amongst her beauty, climb her trees, eat her delights and beyond? I love the earth with all my heart and feel still there are so many more ways to show my love. I'm listening and continually learning for new reiterations of how to show my appreciation to this great mother of us all. This love motivated me to wite down things I do currently do to show my love. Here are five ways I give back to mother earth! And I hope they motivate you to try them and or come up with your own five ways you show your love. How often do you find yourself quickly grabbing the car keys when you are making a nearby trip? Could you innerweave a new mode of transportation once a week? Take a long walk or bike ride to grab your morning coffee or for the weekends' farmers market. This is a great opportunity not only to love on our earth but taking a walk or bike ride gives you time to decompress. It gives you space in your day to recharge. I understand that busy feeling of needing to get somewhere quick, but what would it look like to cut some of your to-do list out and give yourself a nice breath of fresh air? I hate riding my bike, says no-one! 2. BYOC: Bring your own cup! 3. Be a bag lady! Do you find yourself at the checkout counter bagless? It can take some time to get into the habit of bringing your bag, but this easy act of saving and reusing bags make makes a difference. A helpful tip is right when you get home from the store, place your reusable bags at the front door with the intention to grab them the next time you leave the house. Keep bags in your car and in your putrse and eventually, this will become a healthy habit! I am a big fan of collecting cans, bottles, jars… so much so that my husband Peter takes note of my extensive collection. He finds these collectibles throughout the house and pokes fun at how I use them in very creative ways! Think of how many times you are buying a container that disappears along the way. What if that container had been an old jar you reused and now its ventured on to a new home to be reused. You can be your own recycling system within your household. Yes, I believe in conserving our societies physical energy, but I am talking about our energetic energy here! It's valuable too. I ended my earth day by explaining to my daughter that we are all interconnected. Us and our earth. That everything we use takes from somewhere and everything we give, repairs somewhere else. We are this beautiful interconnected web of life. Everything I do, affects someone or something in our world and I reminded her that everything she does, says and even thinks effects others. So how can we all be mindful of how we use your personal energy? Our thoughts, our words and beyond.... Are you giving too much in one place and not enough in another? Have you carved out time in your day to recharge and regenerate your personal energy? Since a small girl I have been drawn to turtles, and them to me it turns out. I remember being about 10, the current age of my daughter Athena, and being on a lovely vacation with my family on the Yucatan Peninsula of Mexico during a particularly strong storm. The air was warm and wet, the sky dark and grey as if someone turned the lights dim on our day, the loud falling rain and wind were making wild exotic sounds and it was all an exciting show for the family from Southern California. We were entertained by it all and decided to drop into some hammocks and watch this tropical storm do her thing. Then I saw a baby turtle walk straight up to me, this tiny helpless creature was confused by the storm and was walking inland instead of to the sea. I knew it needed help right away almost instinctively, and I gently took it in my hands and then looked to my mother as what to do next. Moms know what to do next, she helped me locate a nearby cove where the waters were protected by a large grove of trees creating calm waters to help my new friend into. With tears in my eyes I let the baby turtle go with a little kiss and prayer. I remember having this proud mother feeling, I imagine a similar sensation one feels when watching your child drive off for college, sadness that they are leaving you but in addition there is fullness and gratitude for supporting y. It was a powerful moment for me and is one of the strongest memories I have as a child. For I felt connected to the web of life in a way that I had never before, and I knew that I made a difference to that web. I have continued to see turtles appear in my life and they bring me such joy. Animals help us to reconnect with the world of nature from which we evolved and . The 250 types of turtles on earth today, all teach us something about life, our planet and ourselves. As a group, turtles are more ancient than any other vertebrate animals. And today many turtles are needing our attention and care. The sea turtles that we are going to visit were almost hunted to extinction but after government bans many of the turtle populations returned and you can see on the beaches and at the research center. The research center that we will be going to contains specimens of all the world's eight marine-turtle species (seven of which frequent Mexico's coasts), plus some freshwater and land varieties. Symbolically, turtles bring the energies of motherhood, longevity, and awakening to opportunities. Because the turtle navigates both water and land, the magic turtles humans bring us unite heaven and earth within our lives. Come explore the healing reminders of these great animals in Mexico with us this Summer! We are headed to one of the most popular nesting sites for the Olive Ridley sea turtles, whom are considered endangered because of their few remaining nesting sites in the world. Olive ridley turtles are best known for their behavior of synchronized nesting in mass numbers, termed arribadas. This stretch of coast in Mexico is one of the best in the world for observing the arribada, a Spanish word meaning “arrival”. 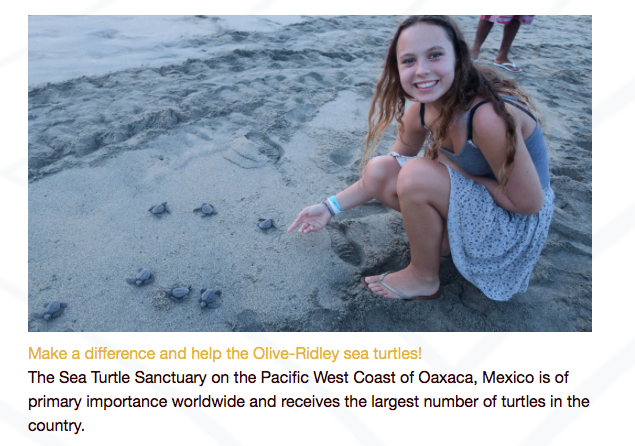 I'm so delighted to be traveling with both my daughter and my mother to Mexico to do our parts as humans to learn about and help support the life of these beautiful turtles. 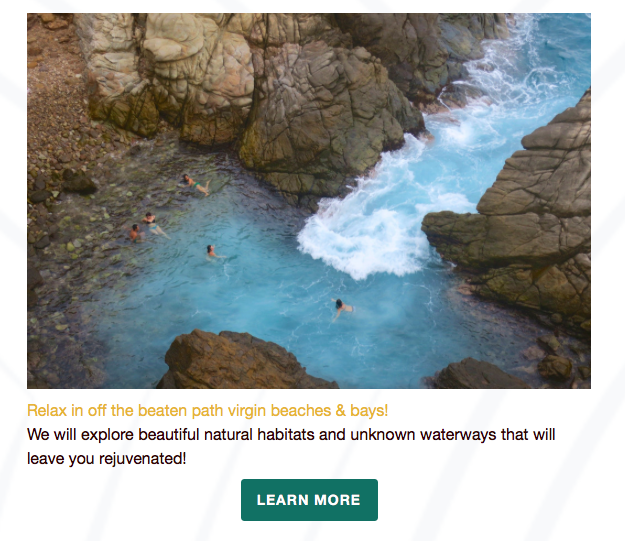 Where we will have the rare opportunity to connect with these beautiful creatures and will have an intimate behind the scenes tour of the largest rehabilitation center for sea turtles in the country! 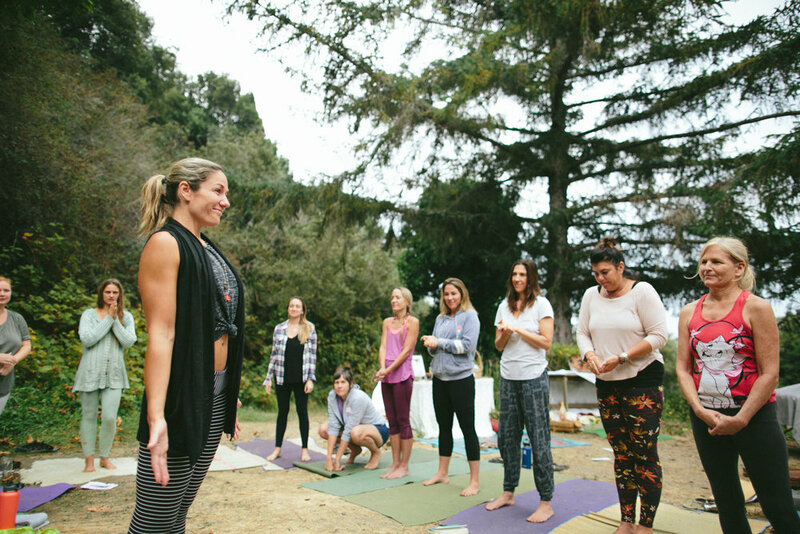 Sea Turtle Yoga Adventure for women, Mothers + Daughters!